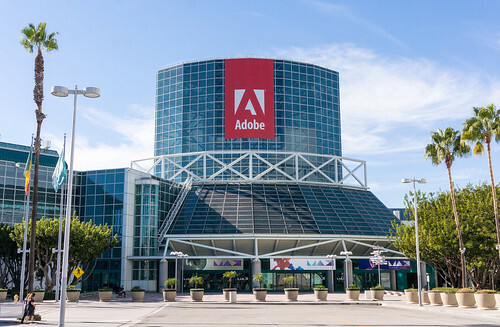 While there were no major product announcements made around Adobe’s Digital Publishing Suite during keynotes, session breakouts did demonstrate some new abilities related to web content management. For example during a breakout session held by some of the Adobe Digital Publishing Suite account representatives and project managers, the ability to publish content from a web content management system to an Adobe Digital Publishing Suite based app was demonstrated. Through a Folio Producer API, a plugin for the web content management solutions of WordPress and Drupal, end users can select content to be exported into and Adobe Digital Publishing format. When content is selected it is then pushed from the folio to the Creative Cloud for storage and delivery. The ability to publish from Adobe Experience Manager is built in for those who have DPS and AEM. In the case of this user scenario, users can simply drag and drop content they want to appear within their digital publication and then publish. By using Adobe Experience Manager to publish content, all CSS design and responsive design is preserved through a templating feature. For more information on the Digital Publishing Suite and publishing to web content management systems we encourage you visit the Adobe DPS developers’ website. One of the announcements that created a lot of buzz was Microsoft’s partnership with Adobe as the two will work together on improving the abilities of tablets and touch screens. 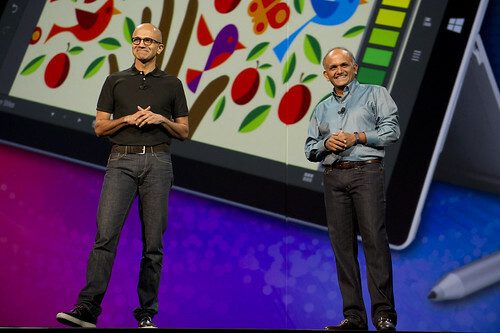 As a part of this initiative Microsoft gave away 6,000 Microsoft Surfaces tablets to the attendees. This is an interesting play by Microsoft since the creative world is an arena dominated by Apple users; by giving out Surface tablets to the audience Microsoft is encouraging a changing of the guard for many creatives. It is well known that hardware has never really been the issue for Microsoft but more the ability to provide software that works for creative. 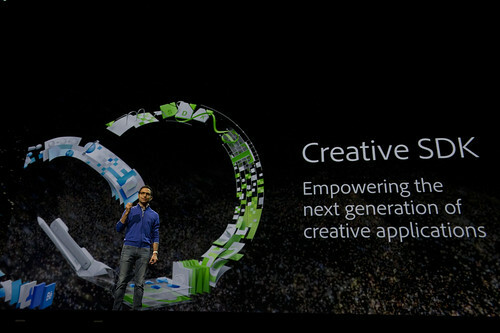 By optimizing the Creative Suite with a touch desktop they seek to gain a competitive edge for software Apple is yet to move on. Adobe Max was not only about the new product announcements but the creative culture as well, with speakers at the event talking about their process of creation and using tools to improve their work. That said, one common theme was the ability to use Adobe as a means to share creative work within the community. While it is often known that creatives are notorious for “borrowing” from each other the platforms to share ideas are limited. With Adobe’s push to their Creative Profile, Behance, and Talent Search — they are bringing the discussion of creative sharing to the forefront compared to what has previously done. For more on the Adobe Max and what is trending on the digital marketing software arena please visit the Digital Marketing and Media Service. All photos courtesy of Adobe Max Flickr account.